In simple terms , a business letter of intent can be described as a document of agreement signed by parties involved prior to a big merger, takeover or buyout which is about to happen between two or more parties involved . 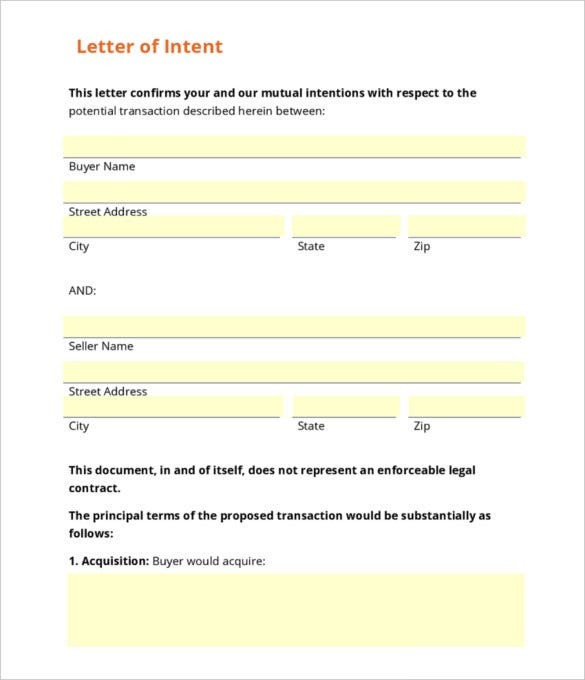 A business intent letter is also referred to as purchase letter of intent. The paperwork states that the parties involved have reached an agreement and negotiations are about to open and the deal will be close with a legal contract soon. Terms and conditions are also specified (if any.) 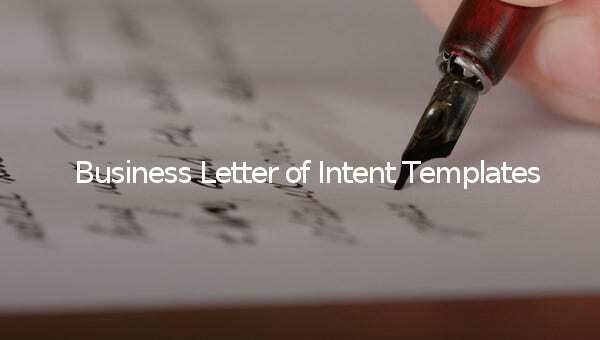 The content of a business letter of intent Word is a serious one and you have to be really proper here. 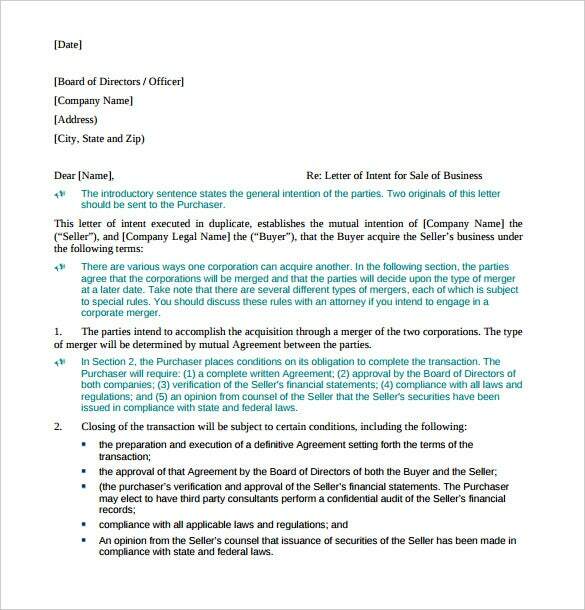 If you have not drafted a business LOI yet, go through the business letter of intent templates which offers a pre-designed LOI format whether you want the letter for a merger or acquisition. 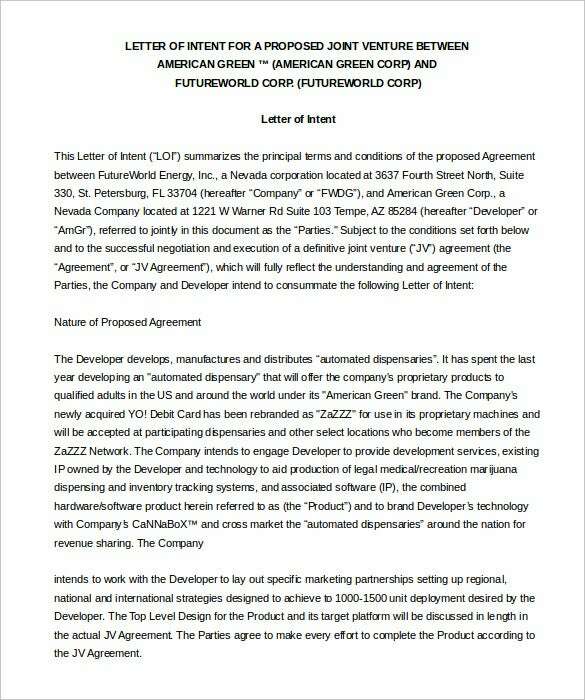 This letter is written by a company to another company in order to merge them into one. This Word file is intended for those companies seeking to merge their company to become one. 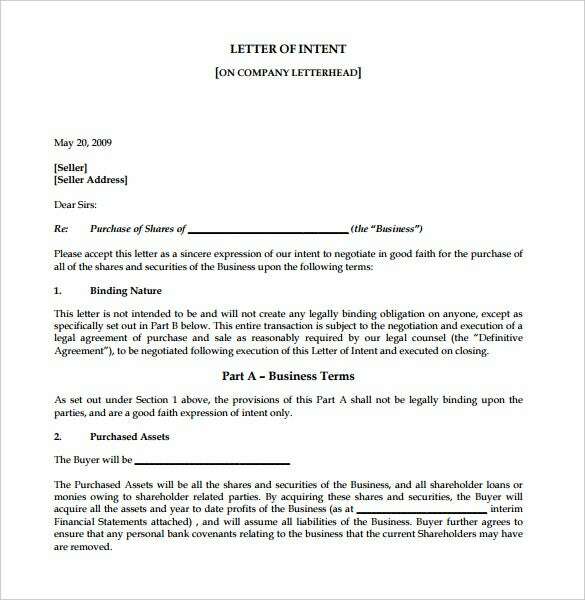 This Word template file contains the letter of intent for purchase of a business. This letter comprises of the address the salutation and finally the terms of purchase of the company. This PDF template file is an agreement of a buyer and a seller. It contains the buyers and sellers address in terms of city state and the zip code. 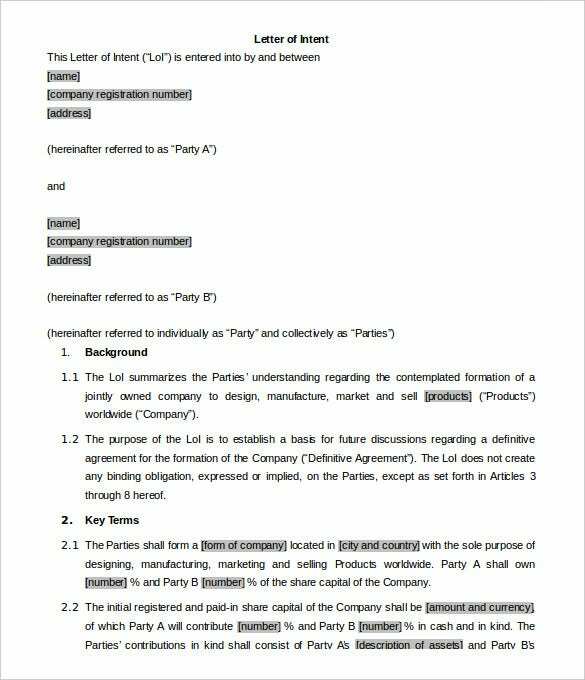 At the end of the letter it states the acquisition of the buyer. The Word file is for people seeking partnership with another business or an individual. The letter contains the name company registration number and the address of both the business partners to be. 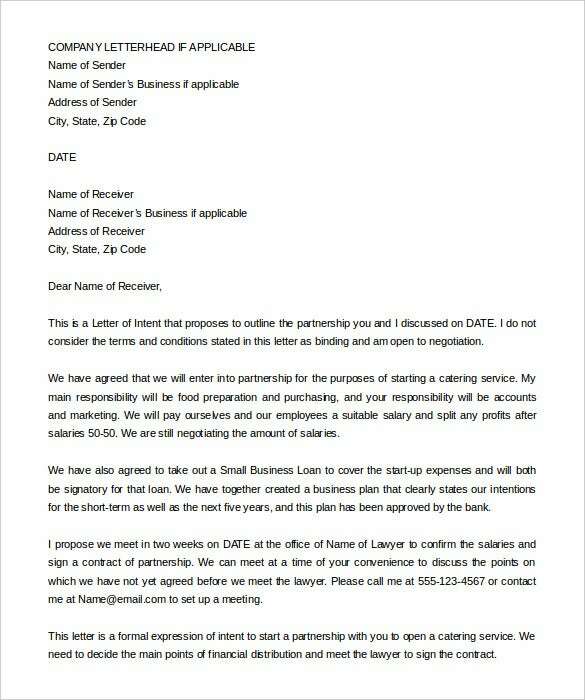 This printable PDF file contains a letter that shows you how to write a business partnership letter of intent. It contains both the senders and receivers addresses and then the body explaining the proposal. This letter is written by the seller of the business. This PDF format file contains the letter. The seller starts by writing his name and address then the reference lastly the body. This DOC file template is available to anyone looking to write a letter of intent to rent or lease. This file contains the letter format needed in writing, starting with the name of the person wanting to lease. 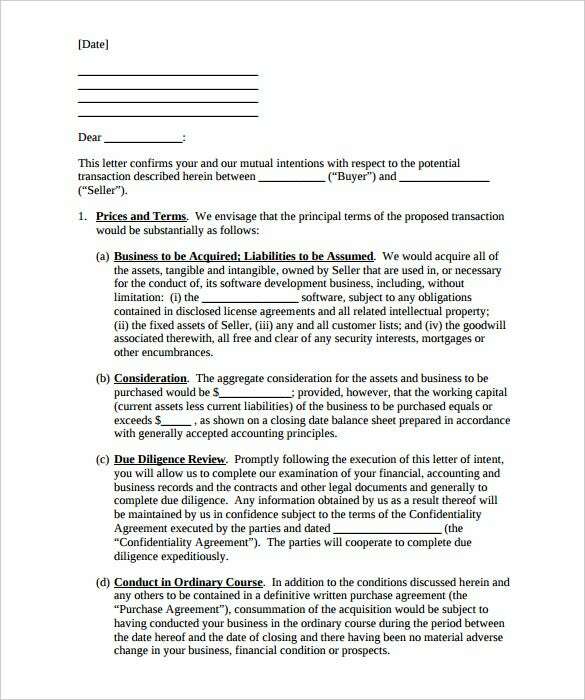 This PDF file contains the letter that is used for companies to venture. The letter starts with mentioning of the two companies that are venturing. Then the body follows containing the terms of venturing. 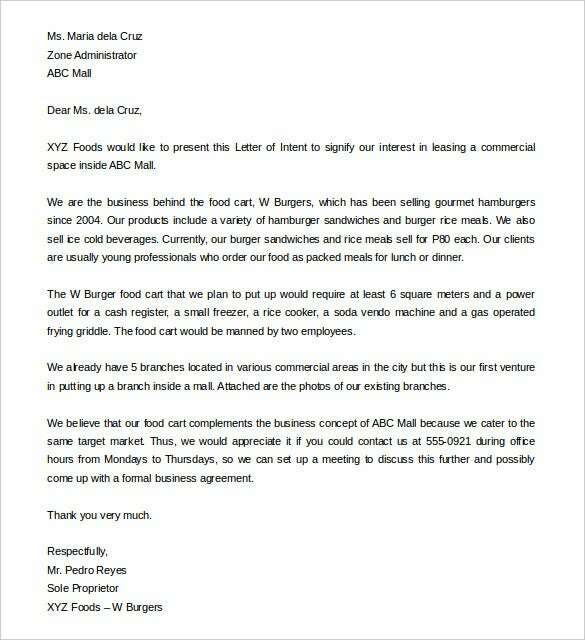 This letter is written by small business owners looking to sell their businesses. This file in PDF format contains such a letter. The seller is expected to write to the board of director, business name and address.